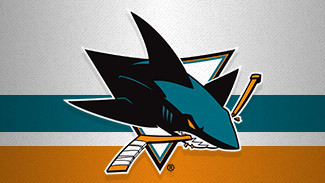 San Jose Sharks general manager Doug Wilson believes prospects will make it known to the team when they're ready for the NHL. Rushing young players to the big club just isn't something he finds necessary. "We don't over-promote our young players," Wilson told NHL.com. "We want them to earn their opportunities." The Sharks have picked in the first round of the NHL Draft just twice since 2007 as the team has gone about building a Stanley Cup contender. And despite not picking until the latter stages of rounds due to their playoff success, San Jose has managed to find prospect depth at defense and goaltending. 1. 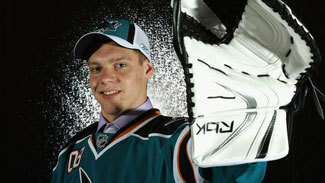 Tomas Hertl, C: The Sharks chose the Czech-born forward with the 17th pick of the 2012 NHL Draft after watching him total 25 points in 38 games with Slavia in the top Czech league, earning him the league's Rookie of the Year award. The 6-foot-2, 198-pounder also had five points in six games for the Czech Republic at the 2012 World Junior Championship. Sharks director of scouting Tim Burke said what most impressed him with Hertl was how he reacted to every situation he was thrust into in a year and a half of scouting him. "What sold us was the different tests you have to pass," Burke told NHL.com. "How did he play in his league against men … in tournaments, his league, under pressure? How much you did for the team? A lot of that stuff factored into it. Based on the hockey part of it, there was no question with our people that he has the potential to be a top center." 2. Nick Petrecki, D: The 2007 first-round pick had a goal and eight assists in 68 games with the Worcester Sharks of the American Hockey League in 2011-12, his third AHL season. The 6-foot-3, 230-pound blueliner won't be a point-producer at the next level, but Burke believes he's close to making the jump to full-time NHL player. "He's about on schedule," Burke said. "He left school [Boston College] early and the physical guys sometimes take a while. It's a pretty good time for him right now." 3. Taylor Doherty, D: A 2009 second-round pick, the 6-7, 235-pounder had six assists and a plus-two rating in 63 games with Worcester last season, his first in the AHL. Burke said he was happy with how Doherty finished last season, and added that new Sharks associate coach Larry Robinson, a Hall of Fame defenseman, has spoken highly of Doherty. "The second half of the year he became a real shut-down guy," Burke said. "He's in the minors and not many people see him and the numbers don't bear it out, but his shift quality to me was ahead of schedule. He's got a big shot, he can do more on the power play." 4. Freddie Hamilton, C: A 2010 fifth-round pick, Hamilton last season tied for eighth in Ontario Hockey League in scoring with 85 points. He was better in the playoffs, finishing third with 24 points in 17 games as he helped the Niagara IceDogs reach the OHL finals. He also had six points in seven games to help Canada win the bronze medal at the 2012 World Junior Championship. All-round smarts, versatility and a team-first attitude are what Burke likes best about the 6-1, 190-pound forward. "We think he's a very good prospect," Burke said. "He does a lot of things well. He's a great person, great family. But what's attractive about the kid is he's one of those players you don't have to tell him a lot. … If you said to him, Freddie you're going to play third line left wing tonight, he wouldn't say I'm a center and I sometimes play right wing. He would say this is going to be our best line." 5. Matthew Irwin, D: In 2011-12, his second full AHL season, the 6-2, 210-pound blueliner had 42 points in 71 games and skated in the AHL All-Star Game. Irwin was called up by the Sharks last season, but never got into a game. Burke said that could change this season. "His first year I thought he had a pretty good year," Burke said, "and then he took off after that. In training camp [in 2011], we said he's ahead of schedule. We had [Justin] Braun, he was cracking the lineup [and Jason] Demers … how do you crack in another young guy on defense? But Todd [McLellan, coach] in training camp and all the coaches said this Irwin kid is going to be a player. He made the [AHL] all-star team. He's knocking on the door." 6. Matt Tennyson, D: The Sharks signed the Western Michigan University alum in March after a season that saw him total 11 goals and 24 points in 41 games. A native of Pleasanton, Calif., Tennyson is the first player to sign with the organization that developed through the Junior Sharks program. Tennyson got a taste of life in the AHL at the end of last season and likely will start in Worcester this season. Burke said he's interested to see how the 22-year-old develops. "He has a big shot on the power play," Burke said. "He was well coached at Western Michigan, improved a lot. … He's going to have to keep going the way he was going in that short term. I think he will. I think this kid has a lot of good qualities to him." 7. Tyson Sexsmith, G: The 2007 third-round pick established himself in his third professional season, posting a 2.33 goals-against average and .916 save percentage in 34 games, and also skated in the AHL All-Star Game. Sexsmith was an accomplished junior goalie who backstopped the Vancouver Giants to the 2007 Memorial Cup. After a few bumps in the road in his pro career, Burke is confident Sexsmith finally is on the right track. "He's a guy that wins," Burke said. "He's a guy that played a lot in junior and never practiced. In his first year in the minors, he had to learn how to be a backup and all backups do is practice. Then he had to deal with some injuries, but once he got that done and took the net over, what we saw is what we saw in junior." 8. Harri Sateri, G: The Finnish-born 2008 third-round pick had a solid debut season in North America in 2011-12, posting a 2.33 GAA and .908 save percentage in 33 games with Worcester. With Sateri, Sexsmith and Alex Stalock competing for time in the AHL in training camp, Burke said there are going to be tough decisions to be made. He's believes all three still have the ability to be No. 1 goaltenders in the NHL. "He's got the practice and the competitiveness down," Burke said of Sateri. "He's still in that determining phase." 9. Konrad Abeltshauser, D: The German-born 2010 sixth-round pick broke out on and off the ice last season. In his second season with the Halifax Mooseheads of the Quebec Major Junior Hockey League, Abeltshauser had 44 points in 57 regular-season games, and then was second among QMJHL defensemen in the playoffs with 16 points in 15 games. Abeltshauser also finally grew into his body, and now measures in at 6-5 and 220 pounds. Burke said Abeltshauser will return for one more season with Halifax with the hope that he takes another big step in his development. "He's made so much progress," Burke said. "We did this with Frazer McLaren, we did it with Ryane Clowe -- let them go play their overage year and play a lot. Halifax is going to be good. It's a great situation." 10. Chris Tierney, C: The 6-foot, 181-pound forward was stuck behind older players last season with the London Knights of the Ontario Hockey League, but his 34 points in 65 regular-season games and solid play in the Memorial Cup motivated the Sharks to use a 2012 second-round pick on him. "He wasn't playing a lot of minutes but he was a productive player," Burke said. "He's bigger than people think. We like a lot of things about him."